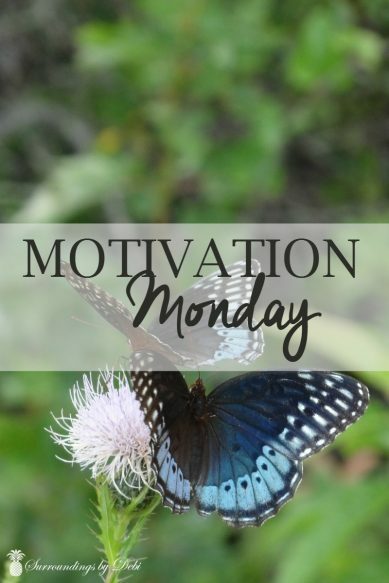 If you have been following this blog you will know that last week I began a new feature called Motivation Monday. So today I am sharing Motivation Monday No 2! In life don’t we often feel like the trials we face, whether big or small, will lead us to a place we don’t want to be. 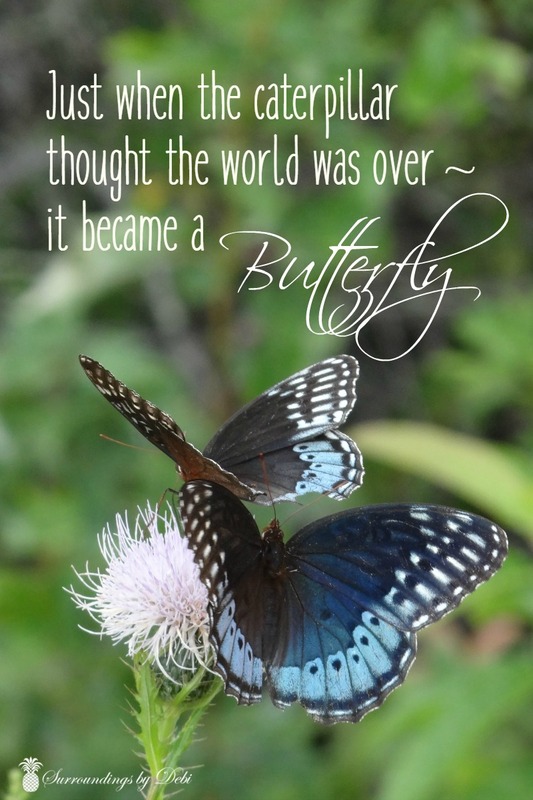 When often, many times instead our lives are changed by trials for good …. much like the caterpillar. Often our lives become repetitive … stale … and we are often become unappreciative in our living day-to-day. But then our life is rocked by a trial and we suddenly see life in a whole new light. We are forced to reevaluate the direction we are going. We become uniquely aware of what is important to us …. and who is important to us. Those things that so often irritated us become trivial and we learn to appreciate the small things in our day. A sunny sky becomes a gift. A special word of encouragement is a blessing and the person giving it is a treasure. Even though we have heard it before from others, we come to truly understand each day we experience should be lived to the fullest. You learn much about yourself and who you are deep within as you walk through a trial. Without a doubt your trials will change you and often you find what happens to you is out of your control. It is at those times you learn what it means to fully rely on God to guide you through. And when you emerge on the other side of the trial (and you will) you find you have become a beautiful butterfly. I hope you will join me here each week for Motivation Monday! Thank you Wendy. I definitely love quotes and I hope you stop back by each week as I share even more.